"Yikes! What on earth is this?" Jessica Stam updates her updo with double French braids. Multi-covers are everywhere and Vogue Turkey continues the trend. We take a walk, albeit wobbly, down memory lane to review the worst falls from glamorous grace. 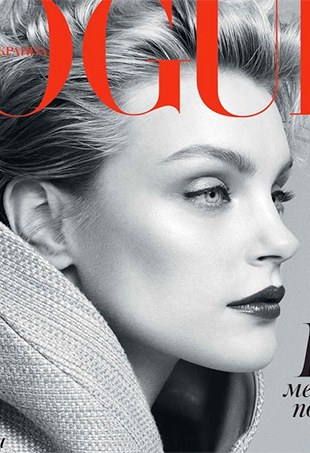 Mixed reviews from the forums for this Jessica Stam cover. Nothing says "happy holidays" like an ad campaign photographed by Terry Richardson. Three models and one musician make runway looks work for their real lives with varying degrees of success. Here's another beautiful cover from Vogue Ukraine, which has been wowing month after month since launching earlier this year. 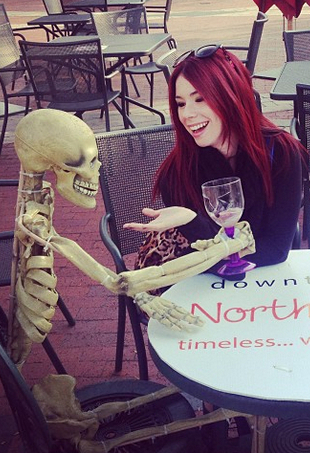 This week on Twitter: Jillian Rose Reed catches up with an old friend, Bar Rafeli pays homage to Michaelangelo and Rebel Wilson's just hanging out. ICYMI on Twitter: Jess Stam parties with paramedics, Kirsten Vangsness goes to the gun show and Heidi Klum probably cut the cronut line. In this week's celeb twitpics, Hanneli Mustaparta looks gorgeous in golden Calvin Klein, Georgia May Jagger meets Taylor Swift — and more. Jessica made a real impact in the designer’s vest-style dress. All of your favorite celebs earn their stripes—Rosie Huntington-Whiteley, Olivia Palermo, Nicole Richie, Marion Cotillard, Chloe Moretz, Rachel Zoe and many more stars in stripes.